Global Food Technologies, a California based life science company, is introducing iPura the “World’s First Food Safety Brand” at the Boston Seafood Show on March 15th. 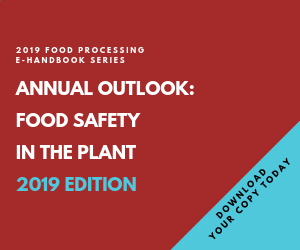 The safety of the U.S. food supply has been in the spotlight recently as food-borne illnesses have caused consumers to question our entire food safety system. The iPura Food Safety Program integrates a comprehensive daily regimen with environmentally friendly technologies and delivery systems to mitigate food hazards at the source of production, bolstering the food safety aspects of HACCP and recognized food safety standards. iPura builds in controls from the start that are designed to combat foodborne hazards and prevent contaminants from entering the food supply. The iPura team includes on-site microbiologists, quality assurance personal, system technicians, packaging and labeling supervisors to insure that the fish are individually packaged and sealed with Intaglio anti-counterfeit labels. “The first product to carry the insured iPura seal is tilapia followed by salmon, catfish and shrimp with other product lines including poultry to follow. Our processor licensees include new state of the art facilities with vertical integration to ensure the integrity of the product. We start at a very high base before we apply the iPura program,” says GFT Director of Marketing, Robert Clark.